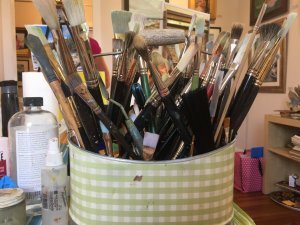 Brushes at the Art House. Bold strokes with sharp edges, delivered with a knife instead of a brush, transform color into shape. A flick of the wrist exposes light from shadow. With a palette knife, the artist can scrape away color, sometimes exposing lighter shades. In contrast, working with watercolors usually involves layering colors atop one another. 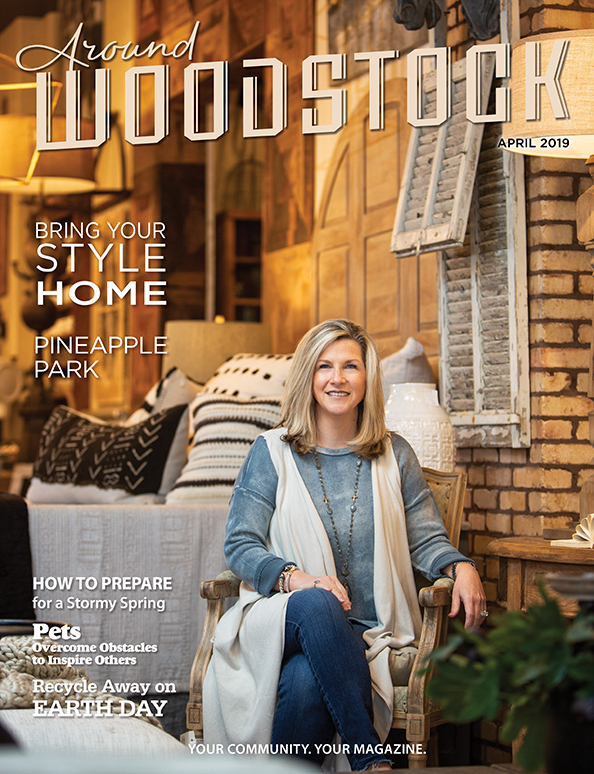 During the workshop, instructor Brenda Pinnick, of Woodstock, moved from student to student, offering individual guidance with gentle direction. 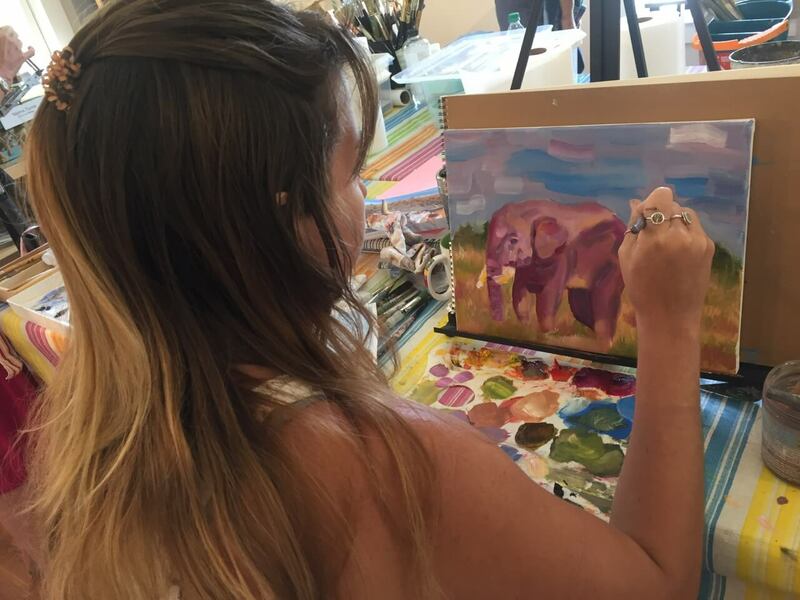 “If you use red on a living thing, it gives it life,” Pinnick told Grace Chepenik, 19, whose elephant stood quietly gazing out from a tan savannah under a blue sky. 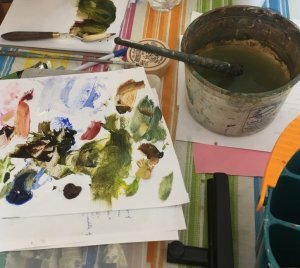 The workshop introduced new possibilities in approaching one’s art. 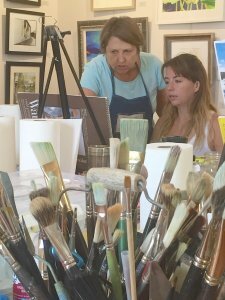 “I learned different ways to start a painting,” said Chepenik, of Jacksonville, Fla. It’s about “finding things you have a connection with,” she said. It’s important for the artist to paint something they care about, said Pinnick. “That feeling comes through” in the piece, she said. 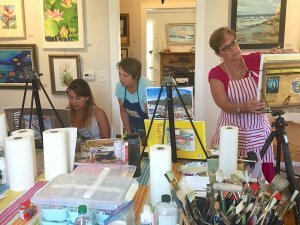 There are classes in a variety of mediums scheduled into the fall, including oil, pastels, watercolors and acrylics. 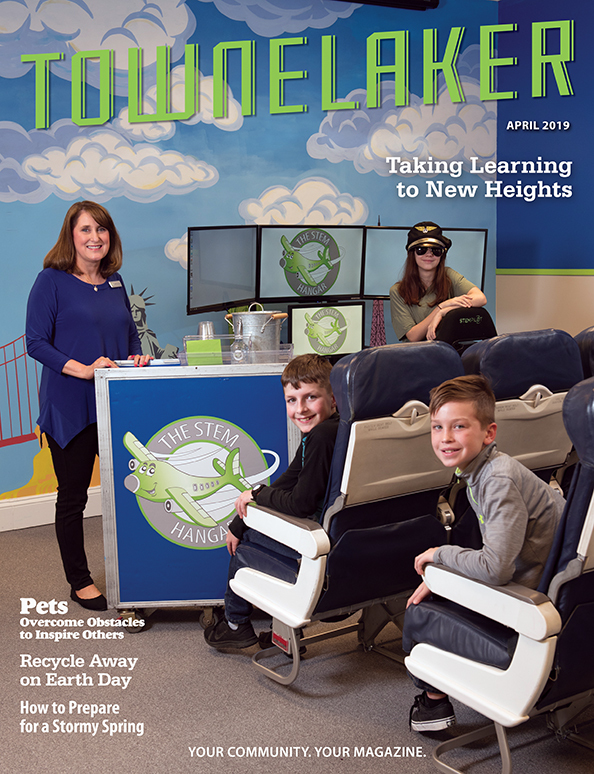 Students of all skill levels are welcome, Green said. 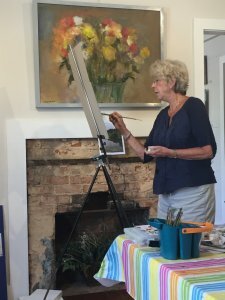 More information about classes is available at acworthartsalliance.org. 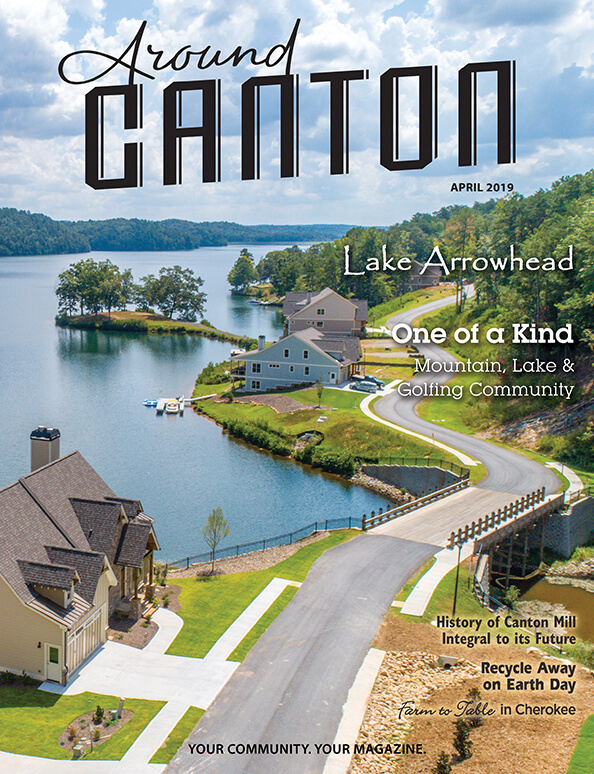 The Art House is located at 4425 Cherokee St., next to Logan Park in Acworth. The next exhibit is “Transitions,” which runs Aug. 4-Sept. 29. 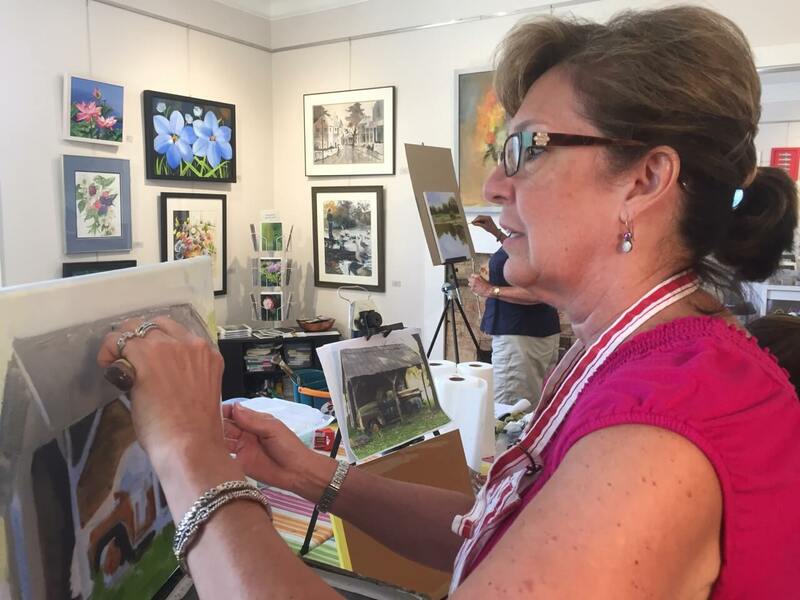 A reception will be held Aug. 4., 6-9 p.m.
A “Celebrate Acworth” open house will be held Sept. 15, 6-9 p.m.
– Kennerly is on the Around Acworth board and also serves on the board of the Acworth Arts Alliance. 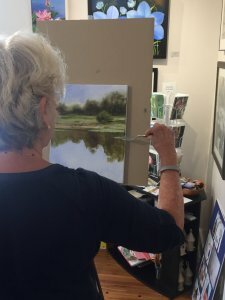 Cathy Green works on her canvas at the Art House. 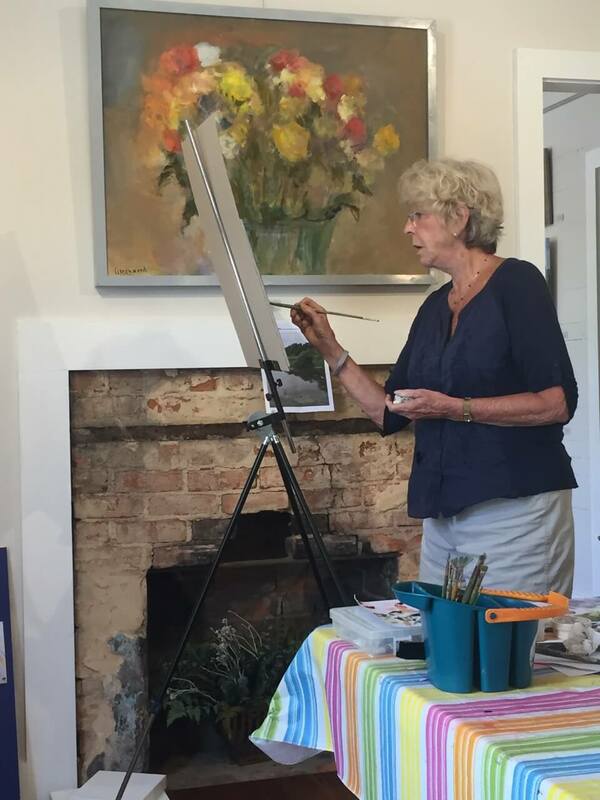 Carol Allegood with her canvas. Grace Chepenik works on her impressionistic oil depiction. 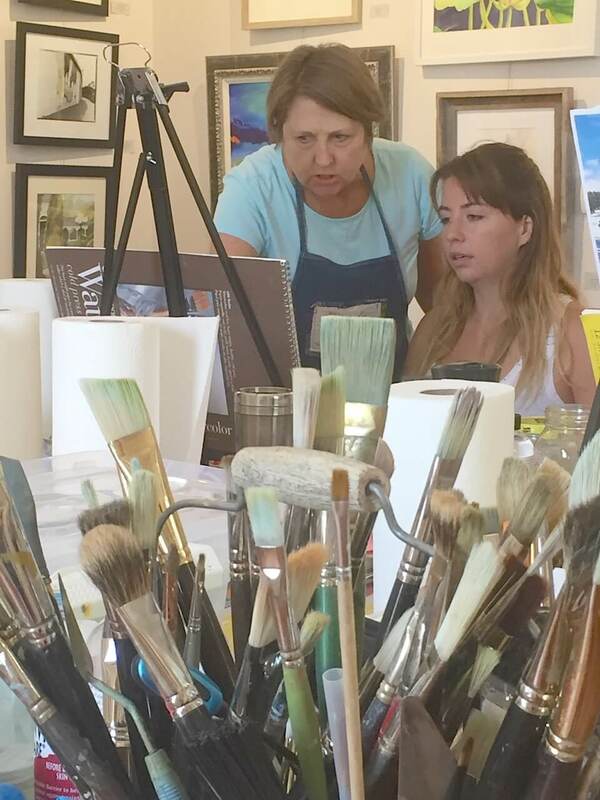 Instructor Brenda Pinnick, left, offers direction to student Grace Chepenik. 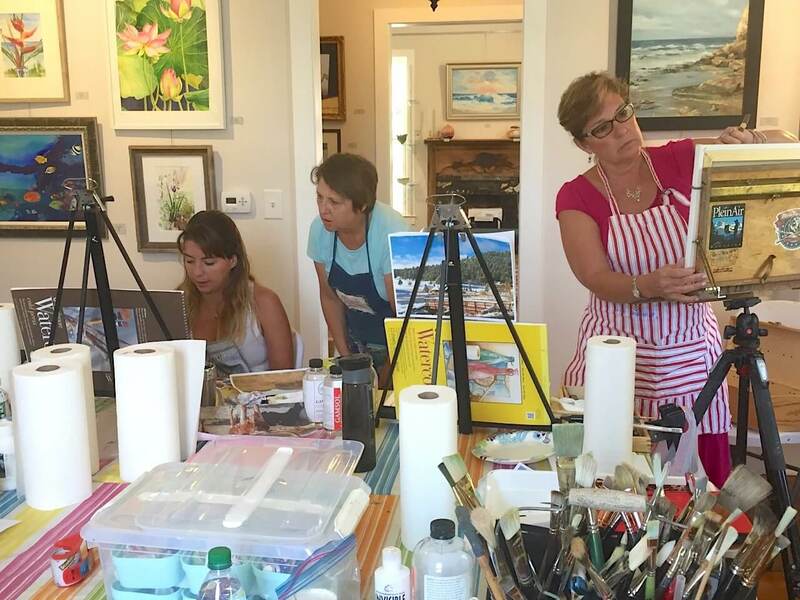 From left, Grace Chepenik, instructor Brenda Pinnick and Cathy Green, executive director of Acworth Arts Alliance, at the impressionistic oil painting workshop at the Art House. 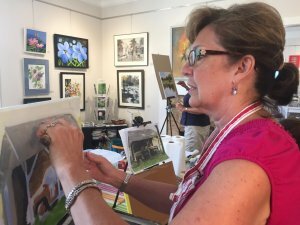 Carol Allegood uses a palette knife on her piece.